Abstract: At the beginning of the 1830s, Charles Nodier published a series of articles in which he reflected on the link between the speech of revolutionary orators and the Romantic aesthetic. The French Revolution turned rhetorical codes upside down, paving the way for a new kind of eloquence. 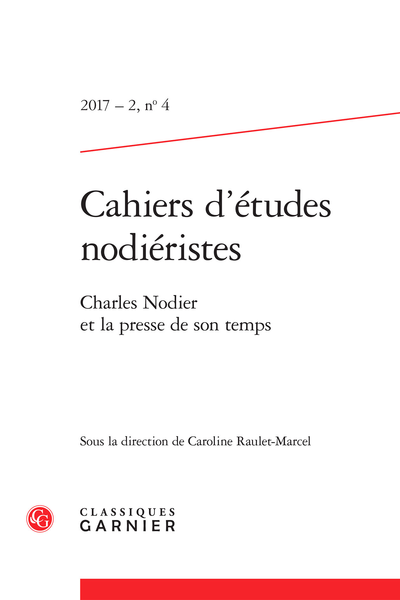 Analyzing Vergniaud and Robespierre’s speeches, Nodier identifies several key elements that reflect the evolution of rhetoric in the direction of a truly Romantic aesthetic.